Writing these monthly posts is always a trip down Memory Lane. 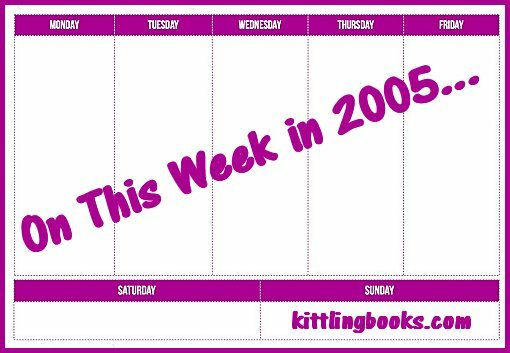 How much do I remember about this book or that one? 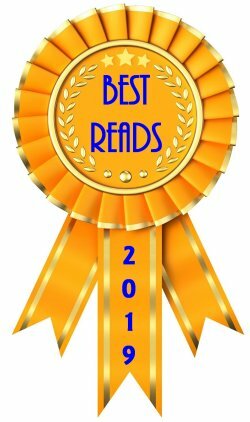 Do I still read this author's books? Do I even read that genre anymore? A person's reading tastes can certainly change over the years. It will undoubtedly surprise a few of you that I enjoy reading stories set in medieval Japan (probably because it's been a while since I have). This enjoyment of mine began with the excellent television mini-series Shōgun. 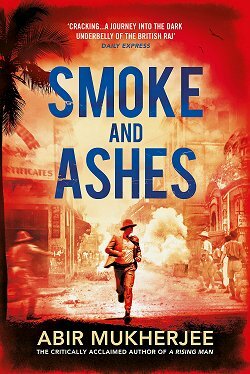 When I learned that it was based on a novel by James Clavell, I had to read it. As a result, I became both a Clavell fan and a quasi-student of Japanese history. 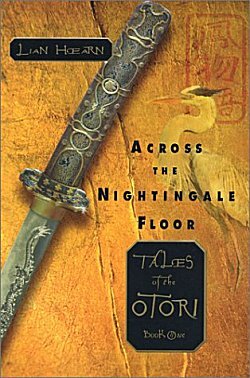 Lian Hearn's Across the Nightingale Floor is the first of her "Tales of the Otori"-- a series of four books set in an imaginary, ancient Japanese society dominated by warring clans. Takeo is a young boy, plucked from his remote village, who becomes a pawn in a political scheme. It is a fabulous story that I remember to this day-- including my delight when I learned what a "nightingale floor" was. Let's say you are a warlord with many enemies trying to kill you. You're going to need to sleep sometime, but how? You can't even trust your own men, let alone those pesky ninjas. Sleep in a room with a specially constructed floor that will squeak hideously at the slightest movement upon it... a nightingale floor. 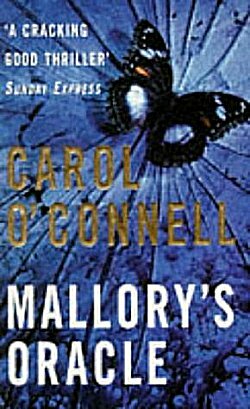 Carol O'Connell's Mallory's Oracle is her first Kathy Mallory mystery published in 1994. Kathy is not your usual main character. As a child, she was a thief living on the streets of New York City when Detective Louis Markowitz rescued her and raised her in his home. Ten years later, Mallory's early criminal instincts and her intelligence have been channeled into computer science for the NYPD. 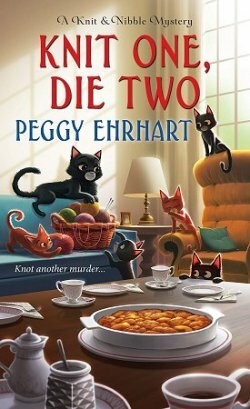 When Markowitz is found murdered, Mallory-- forced to take a leave from the department-- decides to seek vengeance on her own. I think Mallory was one of the first main characters to be radically "different" in terms of intelligence, behavior, and how she viewed the world that I came in contact with in modern fiction. In this first book, she really doesn't have much use for humans outside of the man who rescued her, and although I have no problem with characters who are different, I never warmed up to her, and I didn't continue with the series. I rated it an extremely respectable B+, but the desire to continue just wasn't there. 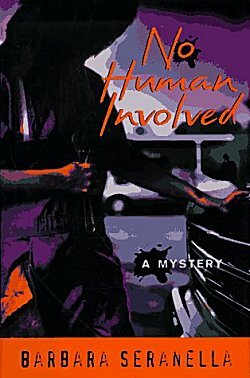 No Human Involved is Barbara Seranella's first "Munch" Mancini mystery published in 1997. Seranella wrote a lot of herself into her main character, and from everything I've read and heard, she was an exceptional person who died much too soon of kidney failure. "Munch" has been a heroin addict forced to steal and turn tricks to support her habit, but now she is determined to stay clean, earn an honest living (as an auto mechanic), and be normal-- mostly due to Asia, a little girl Munch is raising as her own. There is so much honesty, so much heart, so much sheer will in Munch that you can't help but want her to succeed. She knows what rock bottom is, and she doesn't ever-- ever-- want to be there again. Seranella knows how to write good, solid mysteries, but it's the powerful combination of Munch and of Seranella's bone-deep honesty and humanity that makes me mourn the author's death to this day. What an exceptional talent! What was my rating of No Human Involved? A. And thus endeth my look back at the unusual stories and characters I read about eleven years ago. 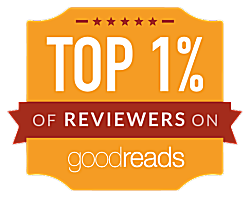 That's some very, very good reading! But at least we had her long enough to be introduced to Munch!